Lactose is the sugar component of milk, which is why it is referred to as “milk sugar.” It is present in milk produced by cows, sheep, goats, and other mammals, including human breast milk. It is a disaccharide composed of the monosaccharides glucose and galactose. Lactose occurs naturally in dairy products such as milk, ​cheese, and yogurt. As a by-product of dairy production, lactose is used as a bulking and flavoring agent and can be found in a variety of processed foods as well as a component of pills and medications. You can suspect that a food has lactose if it says, "may contain milk." Look also for these terms: whey, casein, milk by-products, curds, butter, milk solids, and milk powder. In order to digest lactose, your body produces the enzyme lactase. Lactase is produced by the small intestine and secreted to break down lactose into its simpler forms of sugar—glucose and galactose. These simple sugars are easily absorbed into the bloodstream and used as energy. Babies need to be able to digest breast milk, and so humans are born naturally able to produce ample amounts of lactase. This enables infants to use lactose in milk for energy. Lactase production generally decreases with age. When you can't break down the lactose into its component sugars, it results in lactose intolerance. Lactose intolerance occurs when you don't produce enough lactase or do not digest lactose well. It affects 30 to 50 million Americans and is more prevalent in some ethnic populations than others. 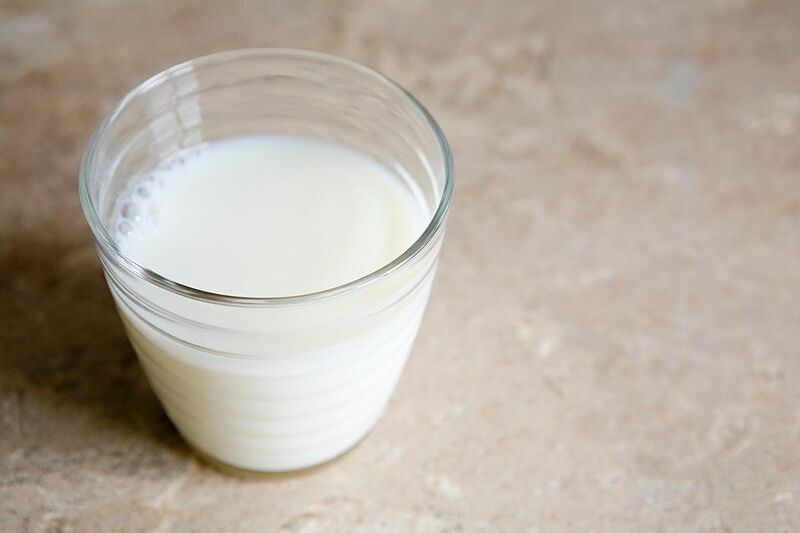 People with lactose intolerance don't have to avoid dairy altogether and may be able to eat small amounts of lactose, depending on their sensitivity. Lactose intolerance is not a milk allergy, which is a different condition that starts in infancy and affects between 2 percent and 7 percent of children. Symptoms of lactose intolerance usually occur within 30 minutes to two hours after eating dairy products. The symptoms can be mild or severe but are not life-threatening. They usually include bloating, an uncomfortable feeling of fullness, cramping, abdominal pain, diarrhea, gas, and nausea. A health care provider makes a diagnosis of lactose intolerance based on the person's family history, dietary history and prevalence of symptoms soon after meals. Another way to confirm lactose intolerance is by physical exam and other medical tests. You have options to control your symptoms if you are lactose intolerant. Besides avoiding dairy products, there are lactose-free and lactose-reduced milk products at most grocery stores. They are almost identical nutritionally to regular milk products. The products are made by milk manufacturers who treat regular milk with the lactase enzyme to break down the lactose. A noticeable difference between regular and lactose-free milk is that it tastes slightly sweeter than regular milk. In terms of storage and shelf-life, lactose-free milk will keep the same amount of time as regular milk. Lactase products offer people another way to manage their lactose intake. By taking tablets or drops when eating or drinking dairy items, lactose is digested better without the discomfort of lactose intolerance symptoms. Is Feta Cheese Made From Cow's Milk? Can People Who Are Lactose-Intolerant Still Enjoy Cheese? What Makes Chili Peppers Hot and Spicy?